Alesya Burvin, having accepted her offer at Westminster School, shares her experience of preparing for, and starting at the school. 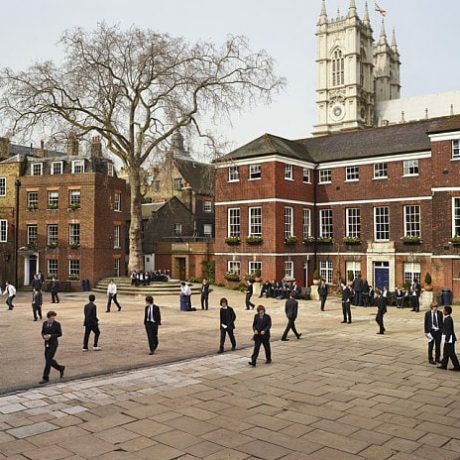 Over the centuries famous people such as the architect Christopher Wren, the politician Nick Clegg, the actress Helena Bonham-Carter, the composer Andrew Lloyd Webber and many others, had graduated from Westminster School. Getting into this school is the dream of many British students, but high levels of competition and difficult entrance exams give a chance of success only to the best prepared and most ambitious of them. Alesya Burvin, originally from Brest, Belarus, came to the UK to study in 2011, aged 14. She had been to several summer language schools and received individual English tuition at home before that. Alesya’s passion for knowledge and ambitions, which took her far beyond her native Belarus, did not leave her parents another choice and they decided to send her to a British school. A number of Alesya’s acquaintances had already been studying at British schools and shared their impressions. By the time Alesya approached UK Study Centre, she had had good English and a strong academic foundation, which enabled her to get into Oakham, a good British school, to do her GCSEs. Alesya started her studies from the middle of the academic year, as the search for the next school had to be conducted in a very tight timeframe. In several months’ time, Alesya got excellent results in sciences. She had improved all her subjects dramatically by the end of the year. We were delighted to support her idea to apply to Westminster to do A-Levels, as it was evident that she had great potential. Although several other students from Oakham had applied to Westminster that year, Alesya was the only one to get in. — Alesya, you managed to get into one of the most prestigious schools in England. Tell us about your experience, which exams did you have to sit? At the initial stage, I had to write a personal statement and choose four subjects for further tests. As I had planned to study Architecture at university, I chose Physics, Economics, Maths and Art. There were written exams and I also had an interview discussing my portfolio for Art. Now I decided that I might want to become an engineer and chose Maths, Further Maths, Physics and Chemistry for A Level. After I successfully passed exams, I was invited for an interview – there were subject interviews and a general one. — What sort of questions were you asked? Did you have any challenging ones? There were no unusual questions. For Maths, I had to solve some problems, and I solved them. For Physics, I also had to solve problems. For Economics, I had to discuss whether education should be free. I was also asked questions about the map of England. The general interview focused on my interests. — Which of the exams was the most challenging for you? To be honest, I did not find any of them particularly difficult – I had thought they would be more complicated. — By the time of your application, you had spent only a year at a British school. Do you think that that year played a significant role? Of course, my English improved considerably during the time I spent at a British school. I also improved academically, although I had a solid foundation after my Belarusian school. — How did the people at your school react to the news of your Westminster offer? My teachers and peers were sincerely happy for me. Several other people from my school had applied to Westminster, but could not get it.